eGenix is pleased to announce our new open-source eGenix PyRun - One file Python runtime 1.1.0 for Python 2.5 - 2.7, with support for Linux, FreeBSD and Mac OS X. Our new eGenix PyRun™ combines a Python interpreter with an almost complete Python standard library into a single easy-to-use executable, that does not require a system wide installation and is fully relocatable. eGenix PyRun's executable only needs 11MB, but still supports most Python application and scripts - and it can be further compressed to 3-4MB using gzexe or upx. Compared to a regular Python installation of typically 100MB on disk, this makes eGenix PyRun ideal for applications and scripts that need to be distributed to many target machines, client installations or customers. We have been using the product internally in our mxODBC Connect Server since 2008 with great success and have now extracted it into a stand-alone open-source product. 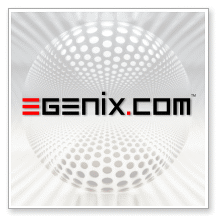 We provide both the source archive to build your own eGenix PyRun, as well as pre-compiled binaries for Linux, FreeBSD and Mac OS X, as 32- and 64-bit versions. This is a new minor release of eGenix PyRun, which contains a few important fixes and enhancement based on the user feedback we received. The new release includes a new script called install-pyrun, which greatly simplifies installation of eGenix PyRun, which works much like the virtualenv shell script used for creating new virtual environments (except that there's nothing virtual about PyRun environments :-)). Overall, we've managed to push the size down from 12MB in 1.0.0 to 11MB in this new release. Thanks go to Pavlos Christoforou for providing lots of good feedback, which triggered many of the above enhancements. Marc-André, CEO of eGenix, will be giving a presentation about eGenix PyRun at PyCon UK 2012 in Coventry, UK on Saturday, Sept 29th in the Room Python/CC1.8. He will also be available during the conference to answer questions.